Happening. Yes, yes, it’s happening ! And even more often than you think. It even has something to do with art ! 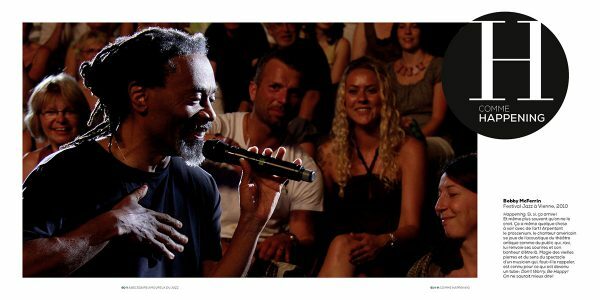 Criss-crossing the stage, the American singer Bobby McFerrin plays with the acoustics of the ancient theatre as he does with the audience which, delighted, returns his smiles and his joy at being there. The magic of old stones and the sense of spectacle of a musician who, if we need reminding, is best known for what has become a big hit : Don’t Worry, Be Happy ! We couldn’t put it better !